Naslovnica / Mama jezna na zdravnika, ki je za njenega nerojenega otroka zahteval splav! Bil je namreč popolnoma zdrav! Mama jezna na zdravnika, ki je za njenega nerojenega otroka zahteval splav! Bil je namreč popolnoma zdrav! Radikalni abortivni aktivisti v bolnicah svetujejo materam bolnih otrok, da jih ubijejo še preden se rodijo. Ob tem jih je vseeno, ali so ubiti tudi zdravi otroci! 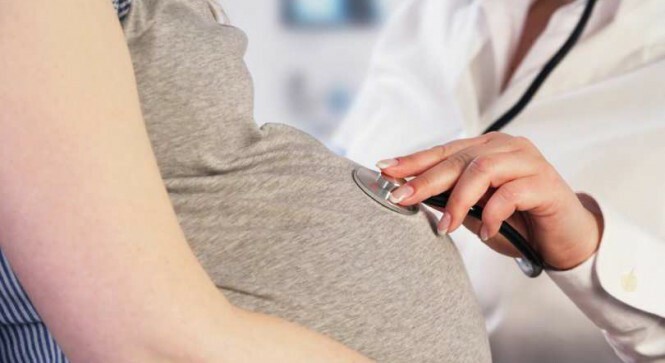 LONDON, England, January 8, 2018 (LifeSiteNews) — A U.K. mother is blasting staff at St. George’s Hospital who she says advised her to have an abortion after misdiagnosing her unborn child with a rare and painful genetic condition that causes brittle bones. But Kamelia Walters ignored the advice and gave birth to a healthy baby girl 18 months ago, she told the Sun Online in an exclusive interview. Walters, 25, said she went to St. George’s for an ultrasound scan in January 2016. At that time, the technician called in a consultant who told the young mother her unborn baby had bone fractures. Doctors at the hospital then told Walters her daughter “probably” had osteogenesis imperfecta type 3, according to the Sun. Osteogenesis imperfecta causes fragile bones, so individuals with the condition often suffer multiple bone fractures. It also affects the internal organs, and symptoms can include respiratory problems, bone deformity, spine curvatures, fractures of the vertebrae, and hearing loss. “They started telling me I could get an abortion,” Walters told the Sun Online. Walters and her partner, 27-year-old Lamar Anderson, also refused a test doctors told them would give a 100 percent accurate diagnosis, but which carried a risk of miscarriage. When her baby, Kyla-Shae, was born, she was told the baby was normal, Walters told the Sun. But Walters is outraged that had she followed the doctors’ advice, she would have aborted her baby, she told the Sun Online. Meanwhile, she has since given birth to a second healthy daughter, Kyarah.